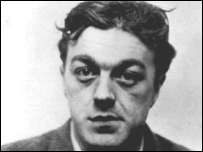 Police killer Harry Roberts, who has served 40 years in prison for murdering three officers, has been turned down for parole. Roberts, 70, was jailed for life in 1966 for shooting dead the three plain-clothes officers in Shepherd's Bush, west London. His 30-year sentence tariff expired 10 years ago but he is still in jail. A spokesman for the Parole Board confirmed the case had been heard but refused to comment on its outcome. Roberts could now approach the European Court of Human Rights. The Parole Board spokesman said: "With all life sentence prisoners, the statutory test the board must apply when considering whether they are suitable for release is whether it is necessary for the protection of the public that the prisoner be detained." He is still in jail on the basis of secret evidence which was gathered against him. Last July, Roberts lost his appeal to the House of Lords over the use of the evidence to keep him in jail. The Parole Board had said sources would be at risk if the secret evidence was handed over. 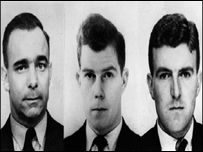 The murder of Pc Geoffrey Fox, aged 41; Sgt Christopher Head, aged 30, and Det Con David Wombwell, aged 25, who were unarmed at the time of the attack, became one of the most infamous crimes of the 1960s.